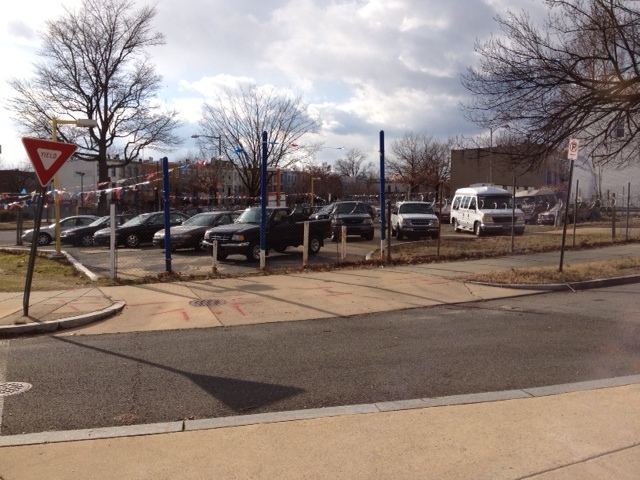 A used car lot is currently located at 1550 Pennsylvania Avenue SE. A second, follow-up community meeting to discuss plans for an 80-84 unit residential building at 1550 Pennsylvania Avenue SE will take place Monday, March 25, 6:30 pm – 8:00 pm at the Historic Congressional Cemetery Chapel (1800 E Street SE). Attendees can enter the cemetery via the 17th & G Street SE or 18th & E Street SE gates. NOVO Development will share updates on their building plans and answer resident questions. In addition, representatives from the District Department of Transportation will be present to answer questions related to the variance requests and traffic flow around the site. My recap of the first community meeting on the plans has additional information about the project and the developer’s zoning requests. ANC 6B will consider NOVO Developments variance and special exception requests in April. The commission’s planning & zoning committee will hear the case on Wednesday, April 3, 7 pm at St. Coletta of Greater Washington (1901 Independence Avenue SE). The full commission will then consider the committee’s recommendation and take a final vote during its April 9 full commission meeting, 7 pm at the Hill Center (921 Pennsylvania Avenue SE). This entry was posted on Wednesday, March 20th, 2013 at 9:44 pm and is filed under Barney Circle, Congressional Cemetery, Development, Penn East. You can follow any responses to this entry through the RSS 2.0 feed. You can leave a response, or trackback from your own site.